In recent years, several high-profile companies have gone public, meaning they’ve begun selling stock openly to investors. Facebook went public in 2012, and Twitter followed suit in 2013. Both initial public offerings, or IPOs, got a lot of press, causing many individual investors to wonder if they too could get in on that first round of stock sales. Why do companies decide to offer an IPO? An IPO brings a big rush of money into the company that can be useful for expansion, paying down debt, or paying back the private investors who put up the funds to get the company off the ground. Not all companies offering an IPO are recent startups. Visa Inc. raised nearly $18 billion in its 2008 IPO, according to the New York Stock Exchange. Each company can dictate the terms of its IPO. Some companies target institutional investors such as pension funds, hedge funds or insurance companies. Individuals with deep pockets are often welcome to participate, too, because they’re able to buy a large number of shares. Things are getting easier for individual IPO investors. Online brokerage firms such as Fidelity and Vanguard offer their clients access to IPOs, so if you’re interested in one, it’s worth asking the brokerage firm with which you already have a relationship. But each brokerage firm has its own criteria to determine who can participate. The decision rests on your account size, how often you trade stocks and other factors. Now new tools are emerging to help individual investors participate in IPOs. For example, LOYAL3, a San Francisco-based company, allows investors to get in on IPOs with as little as $100. Investors are not charged a fee for the transaction; instead, companies pay LOYAL3 to help them sell shares to individual investors online. The idea is that shareholders will be more brand-loyal than other customers, so companies have a vested interest in creating as many shareholders in their target markets as possible. Although LOYAL3’s business model is unique, individual investors can also buy into IPOs through mutual funds dedicated to that purpose, such as Renaissance Capital’s IPO Plus fund. There are several ways to find out about upcoming IPOs. IPOs in the tech sector are announced on the NASDAQ website. Major financial publications such as the Wall Street Journal provide calendars of upcoming IPOs, and you can follow the LOYAL3 Twitter feed to see what IPOs it is making available. Is an IPO right for you? Now that we’ve determined that it’s possible for individuals with as little as $100 to invest in an IPO, let’s talk about the bigger question — should you invest in an IPO? “By their nature, investing in an IPO is a risky and speculative investment,” says the U.S. Securities and Exchange Commission. Therefore, you’ll have to determine whether it makes sense for an investor in your position to invest in individual stocks at all. Conventional wisdom says that it’s best to diversify your portfolio so you’re not too heavily invested in one company or even one market sector. In simple English, you don’t want to put all your eggs in one basket. It’s easier to diversify with mutual funds, which invest in a wide range of investments, than it is with a portfolio of individual stocks. But there’s no denying that it can be lucrative to be one of the first to invest in a successful company. Just make sure you do it carefully. LOYAL3 offers an introduction to investing that includes links to other resources. These will help you determine whether a specific company is a good investment. 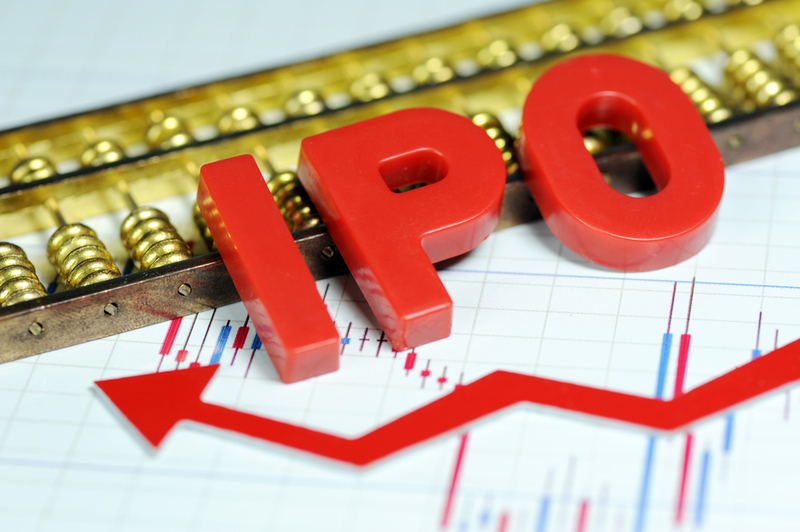 However, when you’re jumping on the IPO bandwagon, you need to be more cautious because a company in the process of going public is in a transitional state and is therefore more volatile. Like all high-risk investments, it’s best not to put money into an IPO that you can’t afford to lose. Investing in IPOs can be thrilling, especially for long-awaited offerings such as Google or Facebook. Sometimes it seems like everyone else must be buying in, because a company is in every headline and on everyone’s lips. But it’s not a good move unless it fits in with your overall financial plan. Evaluate the fees involved, consider how the new purchase will complement your existing portfolio, and take a good hard look at the company in question before you invest in your first IPO.